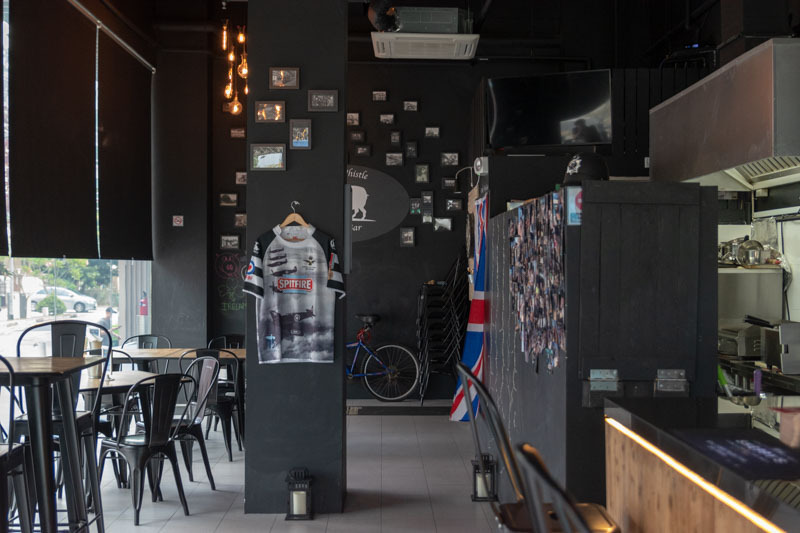 Conveniently located within a five-minute stroll from Eunos MRT, Pig N Whistle is a neighbourhood gastropub that serves up authentic British pub fare. Nested within the Hexacube Building, Pig N Whistle heavily features floor-to-ceiling glass panels that allow for an unobstructed view of the surrounding neighbourhood. Their walls are coated with blackboard Paint, and customers are encouraged to draw on the walls with chalk. 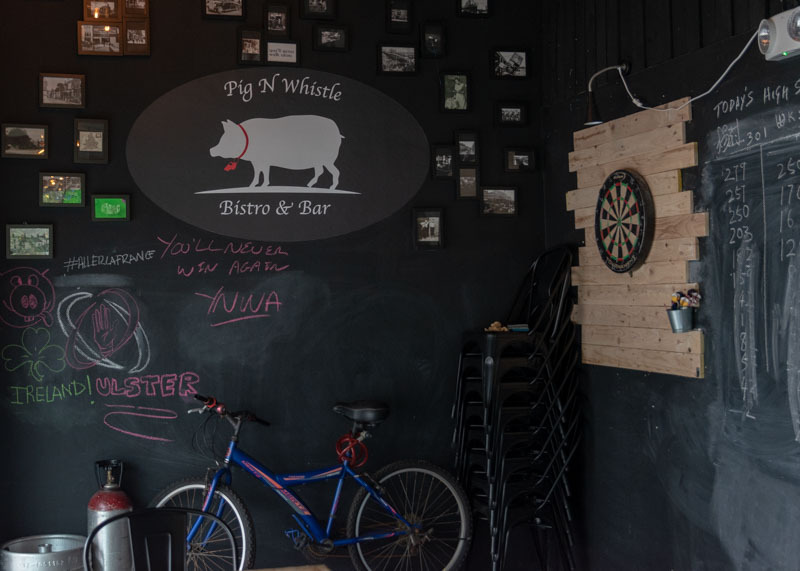 Pig N Whistle really has become a common space for residents in the area to call their second home. 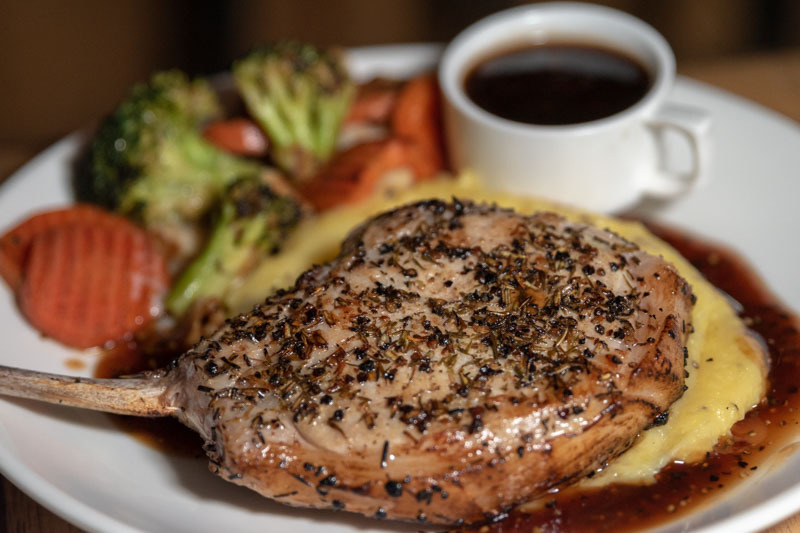 There aren’t that many gastropubs in Singapore that serve up British fare, and certainly none that do so at the competitive pricing Pig N Whistle offers. In fact, they do not even charge a 10% service charge! 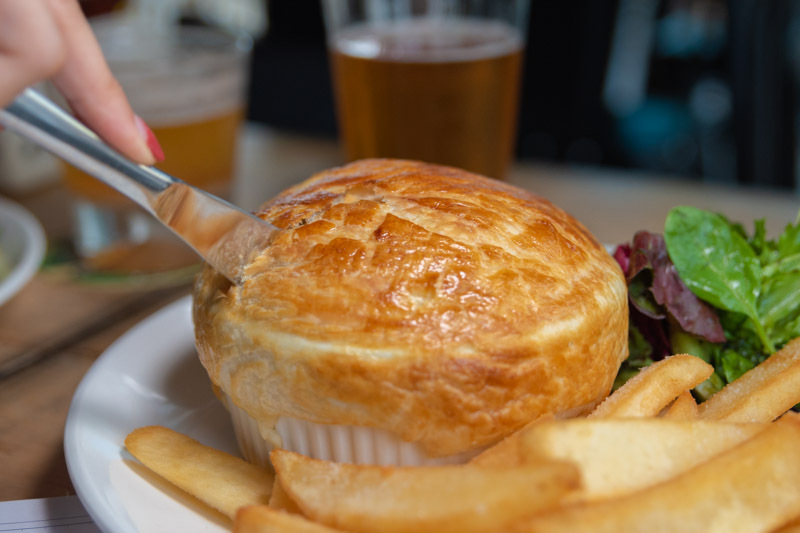 We first tried the Steak N Ale Pie (S$12.90+), a classic, hearty dish to warm the soul on a cold winter day. 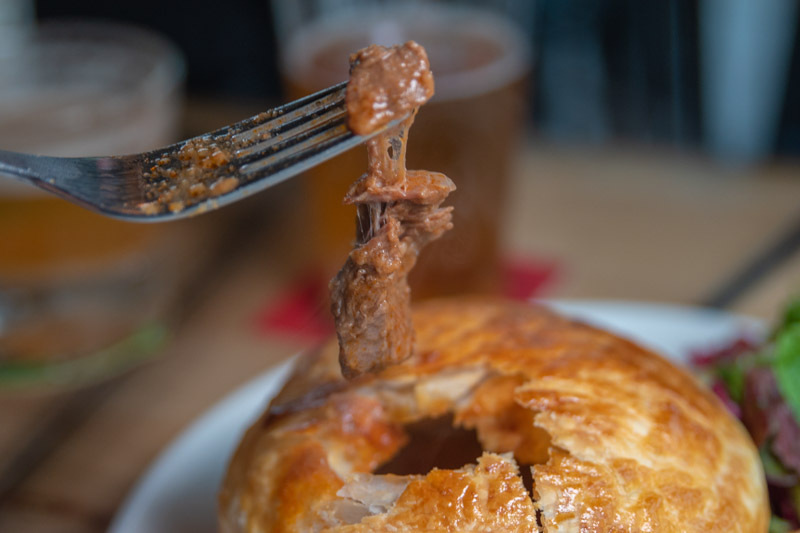 The beef was slow roasted in ale — sinewy yet tender, it fell apart easily. It was accompanied by a classic pairing of caramelized onions, carrots, leeks and celery which added a subtle sweetness to the rich gravy. Piled high over the ramekin dish, the puff pastry was golden, flaky and buttery. It added a little crunch, and the lightness of the pastry was a winning combination with the richer, more complex filling. 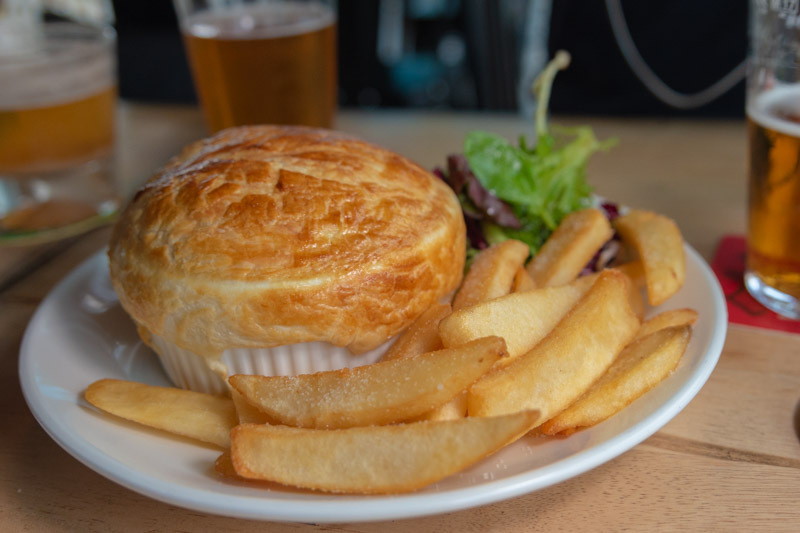 We learnt that that Pig N Whistle is the only place in Singapore that you can get authentic Steak & Ale Pie that is made in-house rather than imported. I was really impressed by this, given the relatively small size of the kitchen. 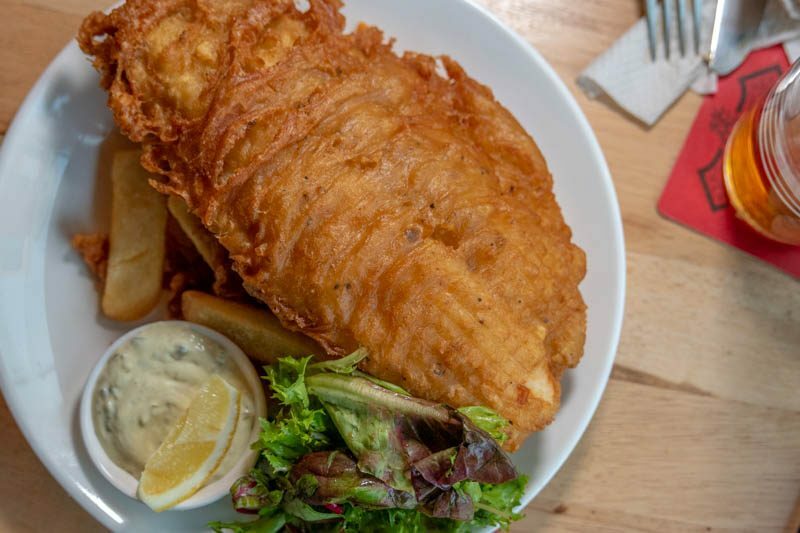 Another classic we couldn’t miss out on was the good ol’ Beer Battered Fish & Chips (S$15.90+). I’d say it was a rather decent chippie, with a generous Pacific Dory fillet battered in a “Monty Python Holy Grail” ale prepared in-house. 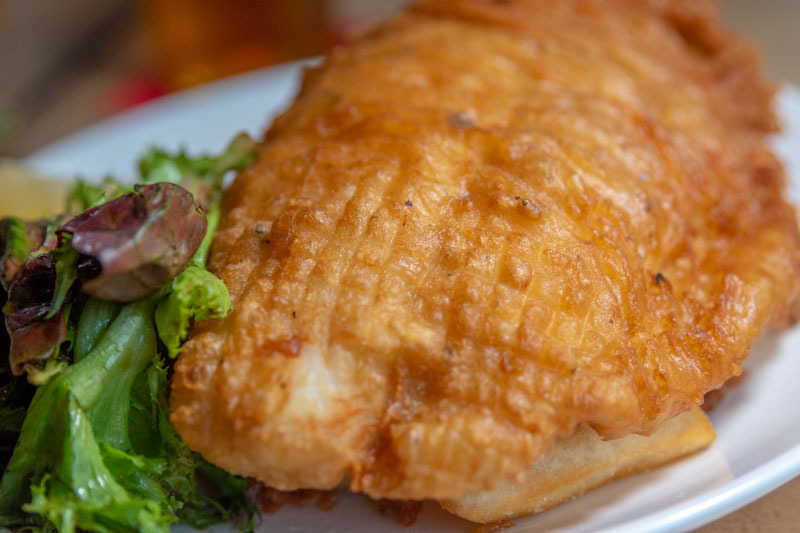 The fried batter was golden and crispy, with an uneven coating resulting in every bite having a slightly different texture. 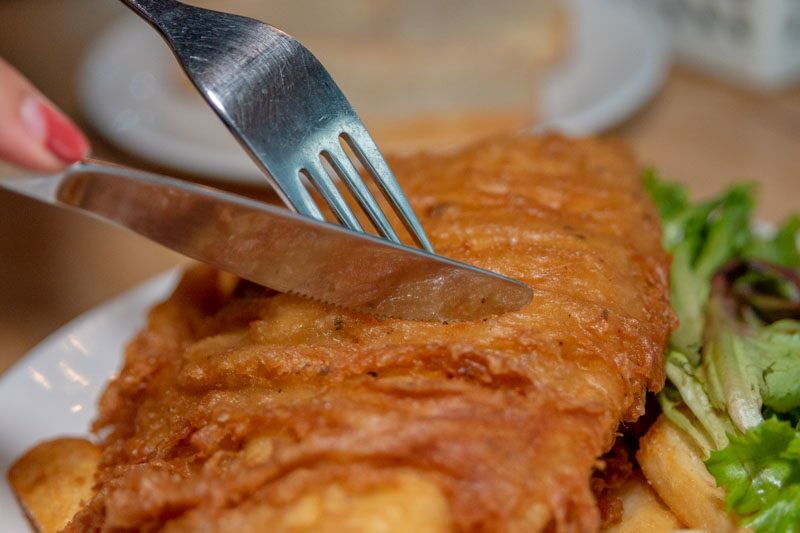 My knife cut through with the layer of batter with a satisfying crackle, giving way to pearly white, flaky fish. 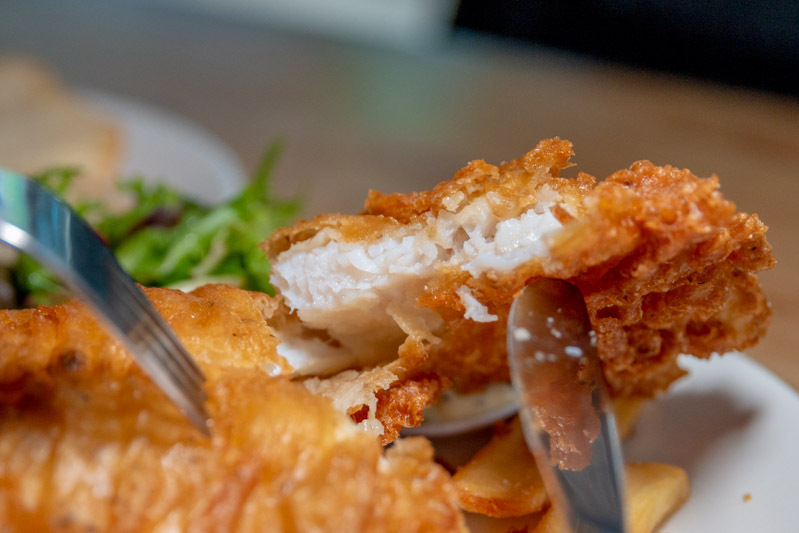 The fish was silky-smooth, which gave a nice contrast to the crunchiness of the batter. Served with a side of malt vinegar, the vinegar imparted a mildly sweet, nutty and toasty flavour to the dish. The little spike of acidity from the vinegar perked me up. The fries were decent, but could have been better. A little on the salty side, they had a crunchy exterior and a light, fluffy interior. It wasn’t too greasy either which I appreciated. We also tried the Pig Chop Bone In (S$18.90+). The star of the dish definitely was the pork loin cut, which still had the T-bone inside, just like a beef T-bone steak. Pig N Whistle claims that the pigs were free range, with 10,000 acres to roam around — which is great if you are conscious about where your food comes from. While the pork itself was not as tender as I would’ve liked it to be, it was bursting with flavour. Rosemary, thyme and pepper really elevated the mildly sweet flavours of the pork and made it absolutely amazing. The dish was served with a side of fresh mashed potato, which was fluffy and smooth. There was a rich, creamy and buttery flavour to the potato which was delectable. 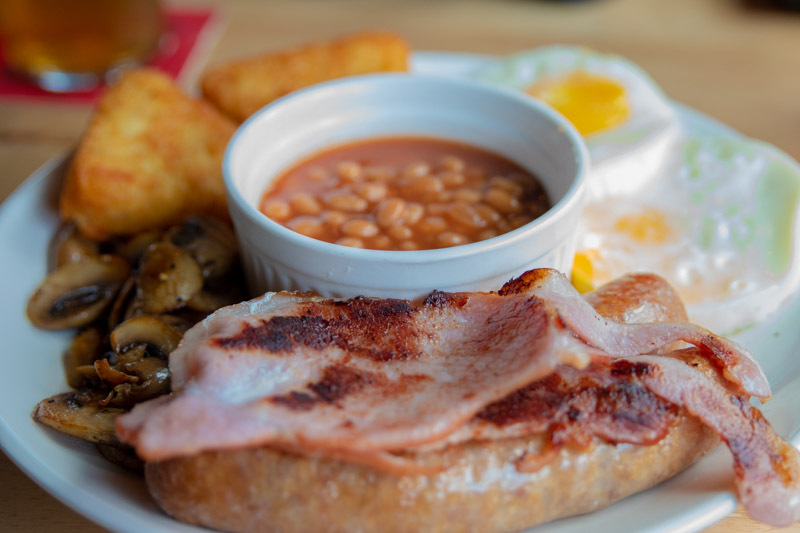 Although we were super full from the huge portions of food, we couldn’t possibly have left without trying the classic full English breakfast. Pig N Whistle has the Big Pig (S$16.90+) for the famished, or the Little Pig (S$12.90+) for those who are simply hungry. The Big Pig (S$16.90+) we ordered came with two sunny side eggs, as well as back bacon. 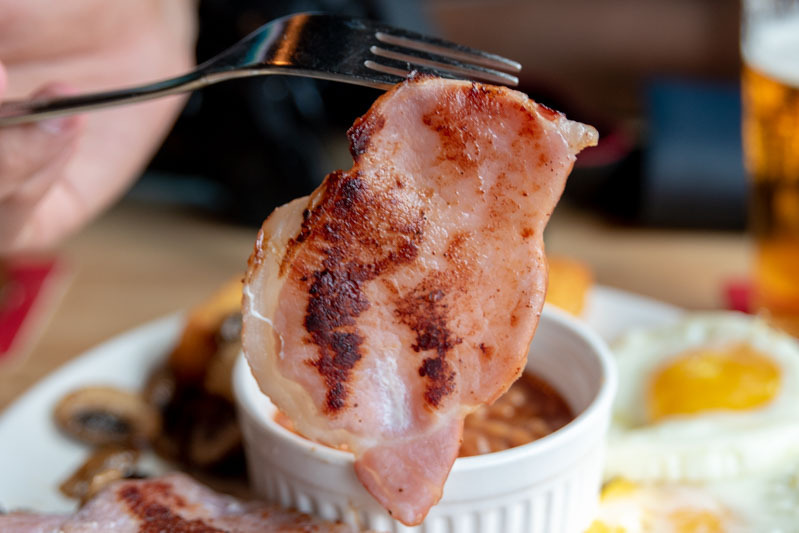 The back bacon had a full-bodied meatiness topped off with a slight saltiness, and slightly burnt ends which gave it the most satisfying crunch. 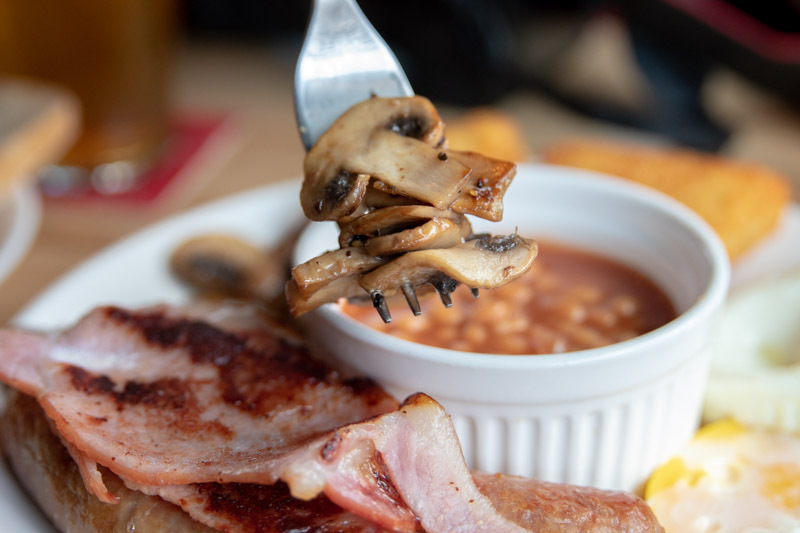 The sautéed button mushrooms were tender and juicy – bursting with earthy, briny flavour, which was complemented nicely with woody undertones and a subtle sweetness. The hash-browns were more like croquettes to me, with smooth insides rather than chunky. 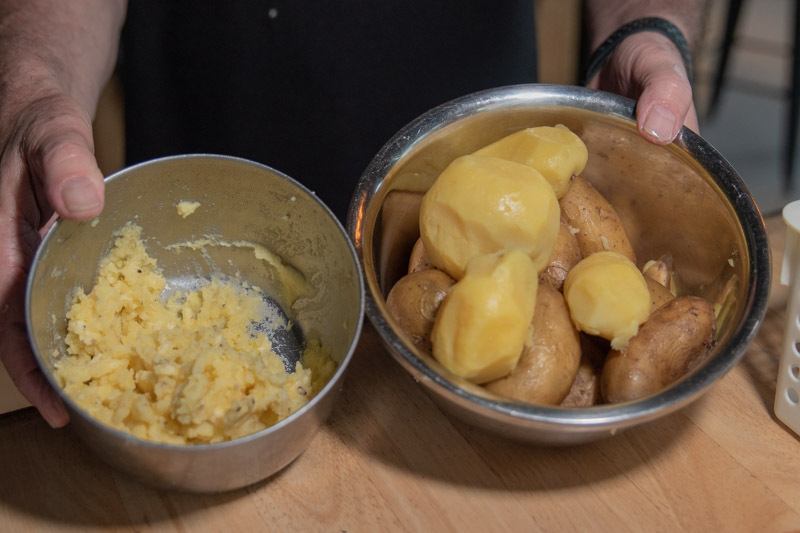 I was really impressed since these were made in house — where we could see the boiled potatoes being mashed in front of us. 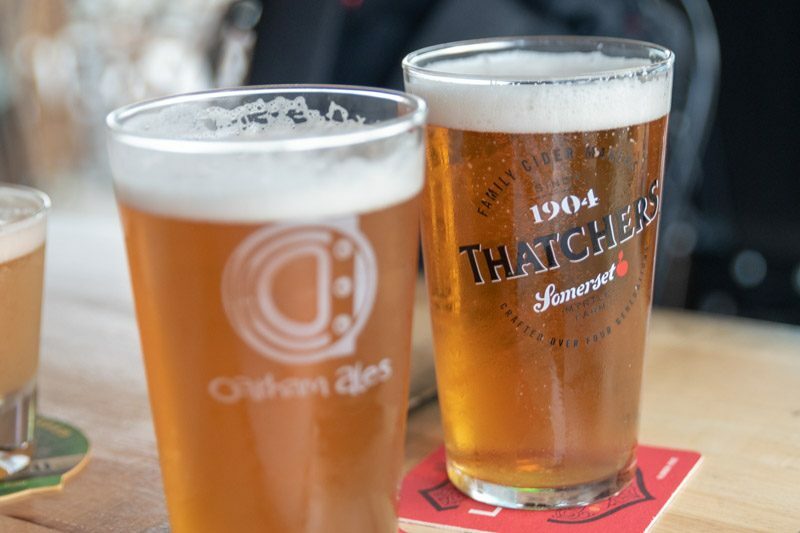 To top it all off, Pig N Whistle is the exclusive importer and distributor of many British ales, such as the Green Devil IPA (S$13+) and Hogstar Craft Lager (S$10+ for a pint). They also have ciders such as the award winning Sheppy’s Classic Draught Cider (S$12+). They do have an extensive selection of beers, liquors and ciders to complement any dish. Unfortunately, we were a bit too full to sample them all so that’s something you’ll have to go down to try! Pig N Whistle really is a hidden gem in the Eunos neighbourhood. 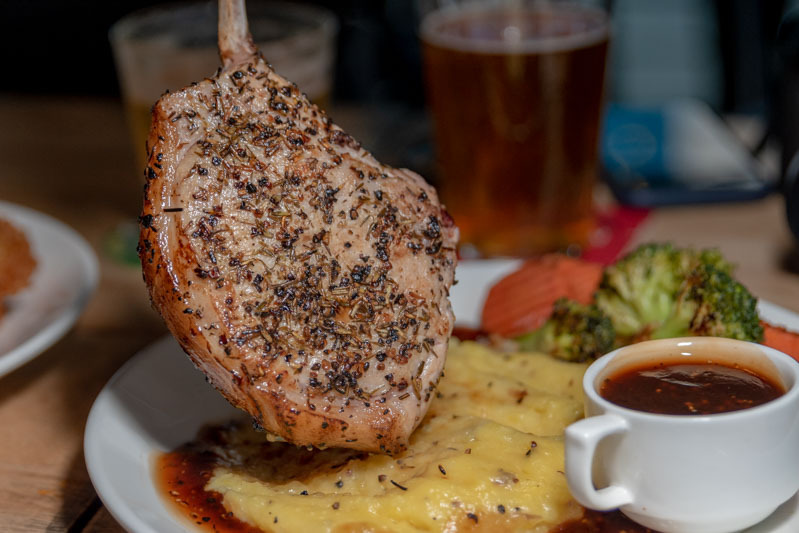 Designed to be a second home for its regulars, Pig N Whistle offers delicious, British fare at competitive prices. Definitely value for money for the portion sizes as well as the quality of food. 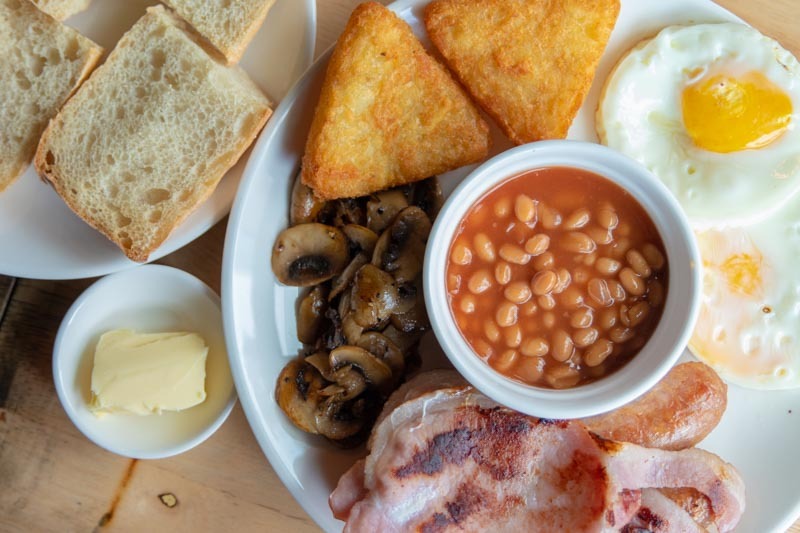 If you love to indulge in British fare once in a while, there really is no excuse not to give this place a try. 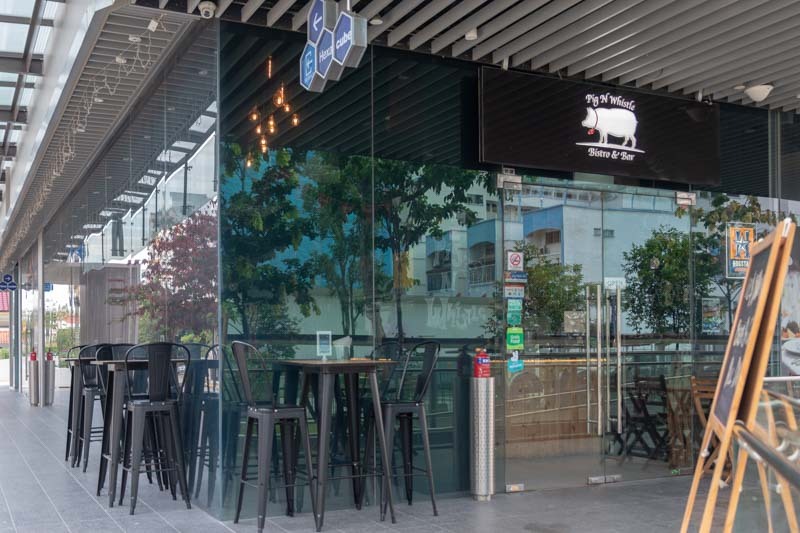 Besides, Pig N Whistle will be extending their opening hours to include weekday lunches starting 1 May 2019. Bring your family and friends down today for some whistle-worthy food!